With the next level of hypercar performance on the horizon, it’s hard not to get excited about what the possibilities may bring. I fully believe that we are walking into a new era of performance, and there are a few cars that will be ushering in that new era; the Valkyrie, BP23, and the Project One. And while each of the three has extremely interesting tidbits that make them appealing for one reason or another, the Project One stuck out to me personally because of its powertrain that was an adapted version of the same one used by Lewis Hamilton in the 2016 W07 Formula One car. 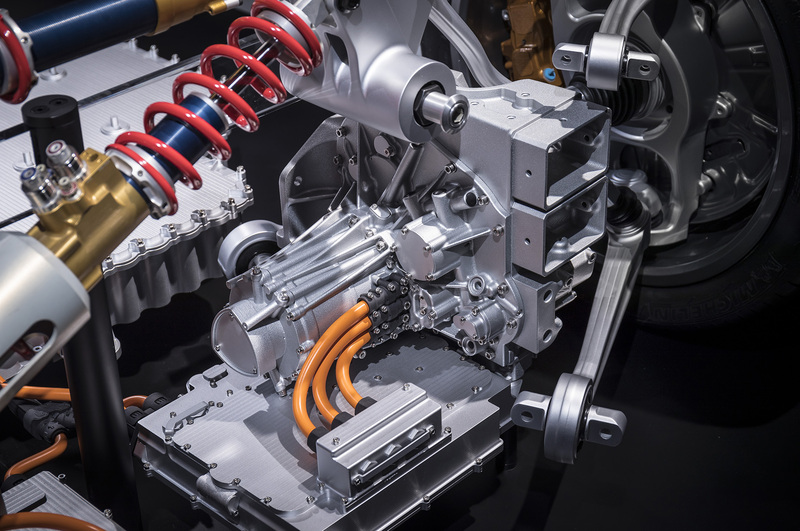 Some of the details that stick out are the fact that it would have a sportbike redline of 11,000rpm and would only have a lifespan of 31,000 miles before it would need a full engine overhaul. 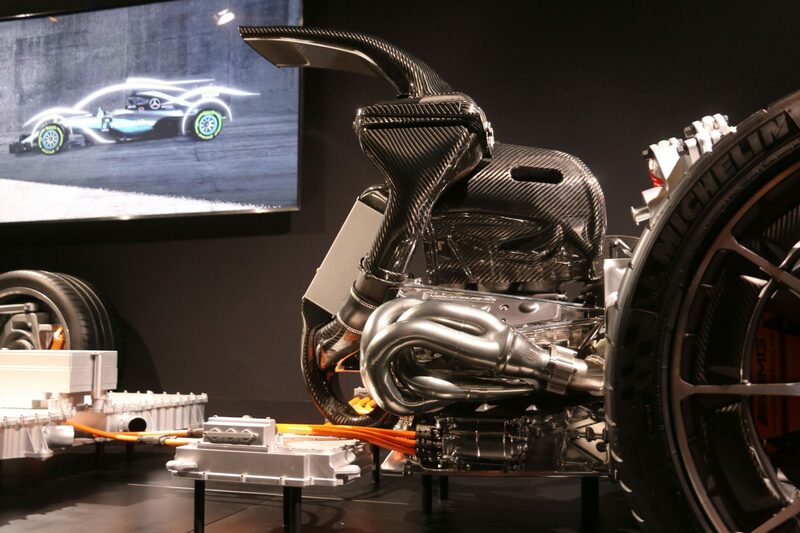 It was also going to have a hybrid system that was also based on the one used in the W07 F1 car. Sounds pretty appealing so far, right? AMG is currently celebrating their 50th anniversary and therefore are feeling pretty good about things. So they made the decision to reveal a major portion of the upcoming Project One to the public. They did so in the hours leading up the start of the Nurburgring 24 Hours, and needless to say, it did not disappoint. 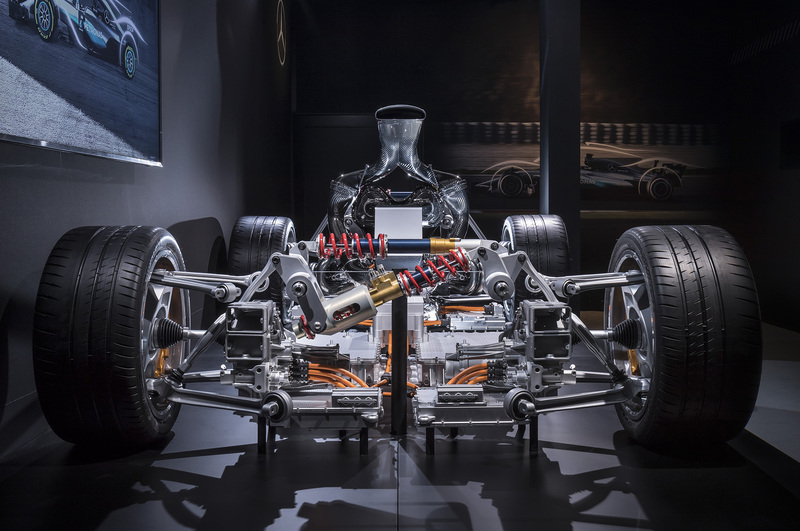 There’s obviously a level of sophistication involved that matches the potential performance of the car, so trying to understand how it all works is easier said than done. 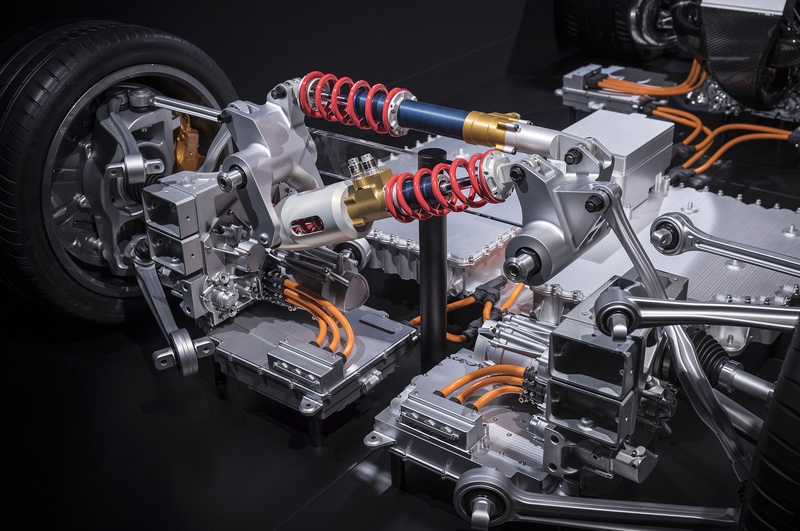 But from what I understand, these are the major tidbits that are really exciting about this new technologically advanced powertrain. There’s a total of five motors utilized on this platform, two of which in a unique way. 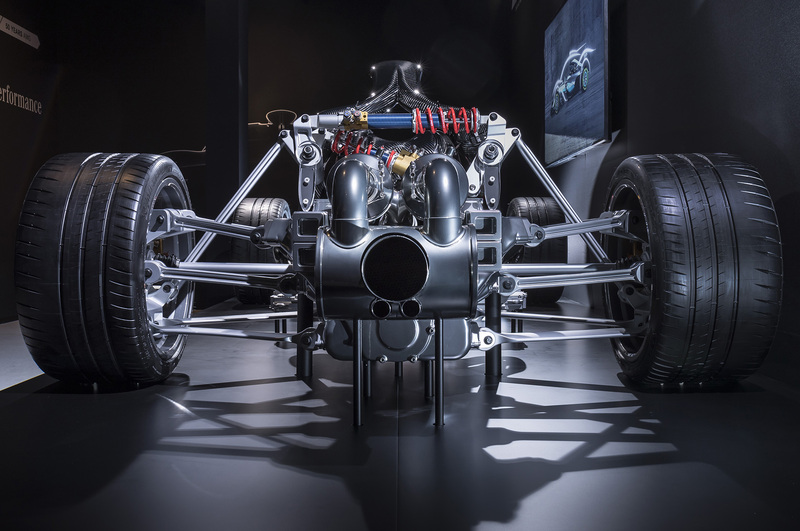 Not only will the Project One use a 1.6L V6 turbo from an F1 car, but it’ll have two electric motors attached to it performing very specific tasks. There’s a 161hp (120kW) motor attached to the crankshaft to provide assistance. If you think that’s cool, the other is a 107hp (80kW) motor and its only responsibility is to keep the turbo spooled up at all times to provide near instantaneous throttle response. The other two are used in a somewhat more normal sense and that is being used to power the front axle. It will have two 120kW motors which add up to an estimated 322hp and a ridiculous amount of instant torque. That, of course, means the Project One will be an all wheel drive SuperHypercar. 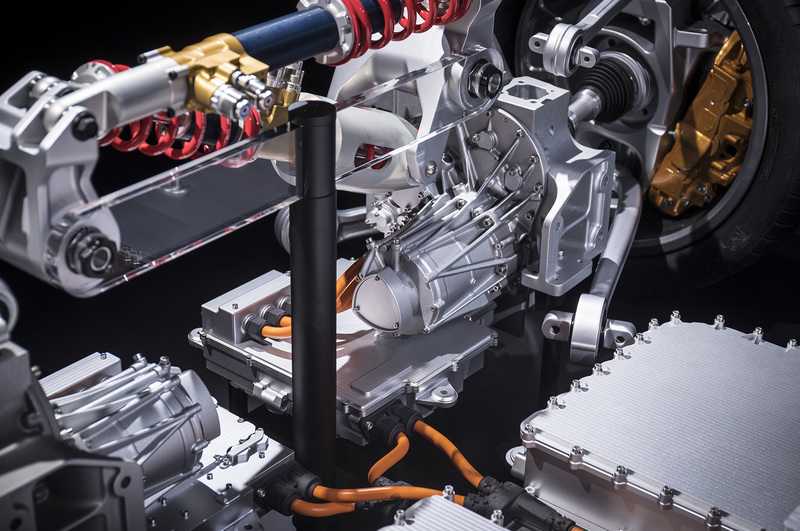 With all that electric power, you’re going to need a boatload of stored energy, especially when the two motors attached to the gas engine are constantly running. But we already know they’ve perfected this sort of thing because this hybrid system is one that’s adapted from a Championship winning F1 car. 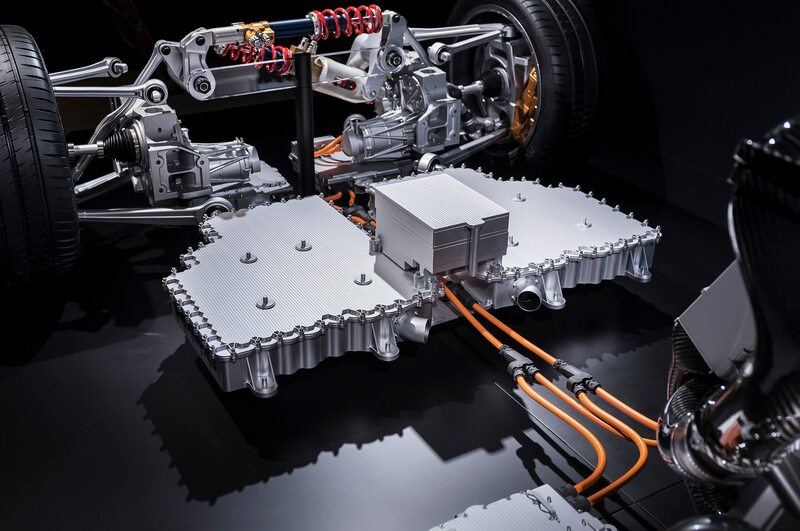 But they had to improve the longevity of the batteries in order for it to be semi-efficient for road use. 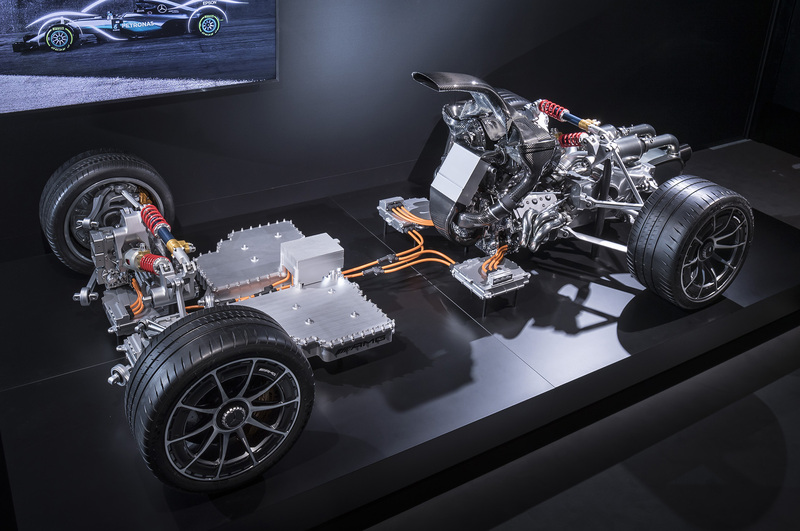 So to remedy that, AMG used the same ridiculously expensive battery cells used in the F1 car but made it four times larger. The entire pack weighs at least 220lbs now but can provide a full 800 volts. To try and distribute that weight as best as possible, it was mid-mounted and as low in the car as possible. Which in theory, could actually be a good thing. 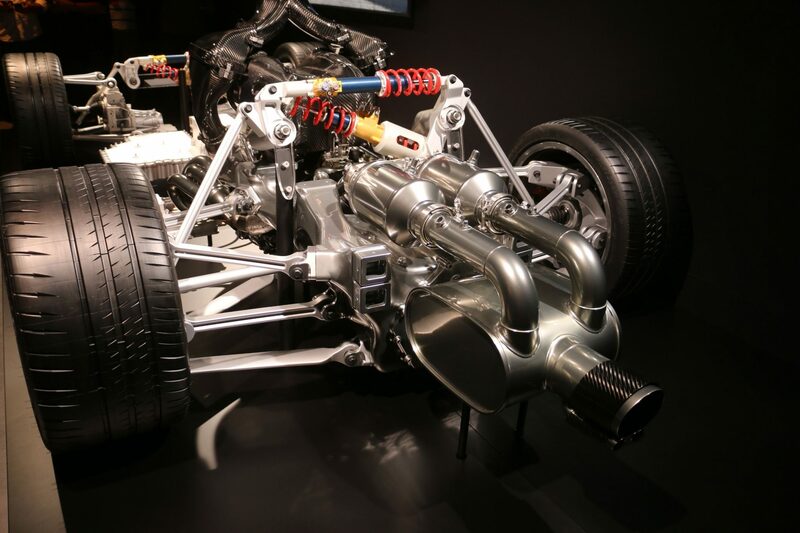 Something that the other SuperHyperCars are shooting for is the elusive “perfect” power to weight ratio of 1hp per 1kg. 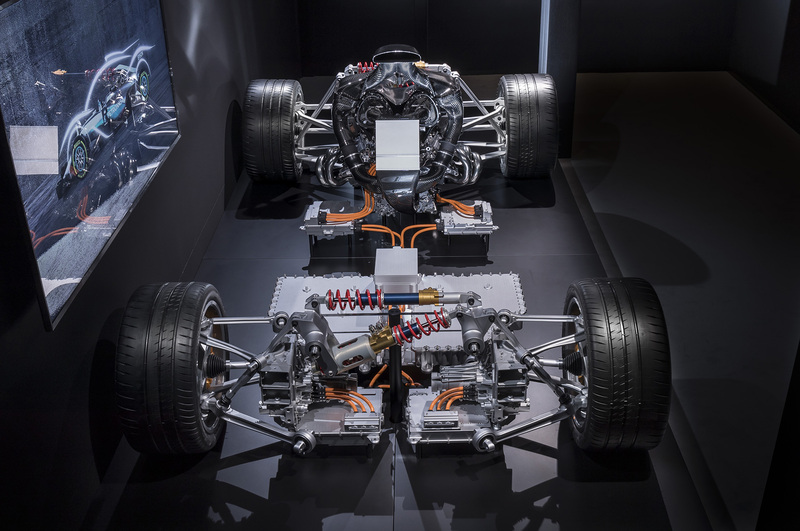 But with the Project One’s entire drivetrain weighing in at 925lbs, that’s not one of the goals set forth by AMG. They’re hoping that the overall power and efficiency of the power plant they’ve come up with will more than make up for any extra pounds here and there. But that doesn’t mean the Project One is going to be obese either. 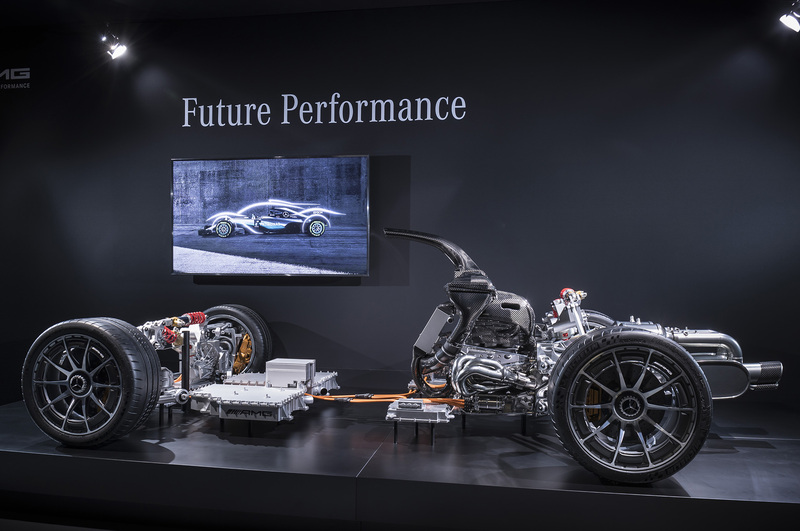 AMG fixed it where the engine and eight-speed single clutch gearbox are utilized as key structural pieces of the carbon fiber chassis. 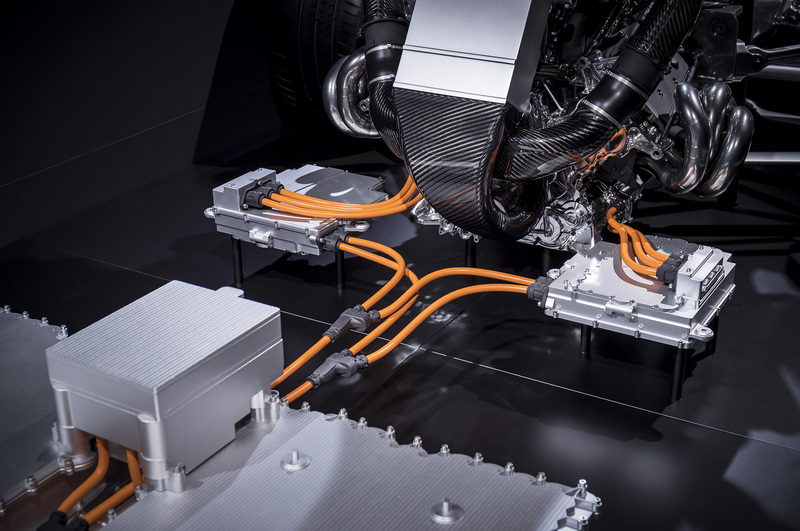 This is quite a bit different than the more common methods of securing the powerplant to the chassis. What a great time to be a moto enthusiast. 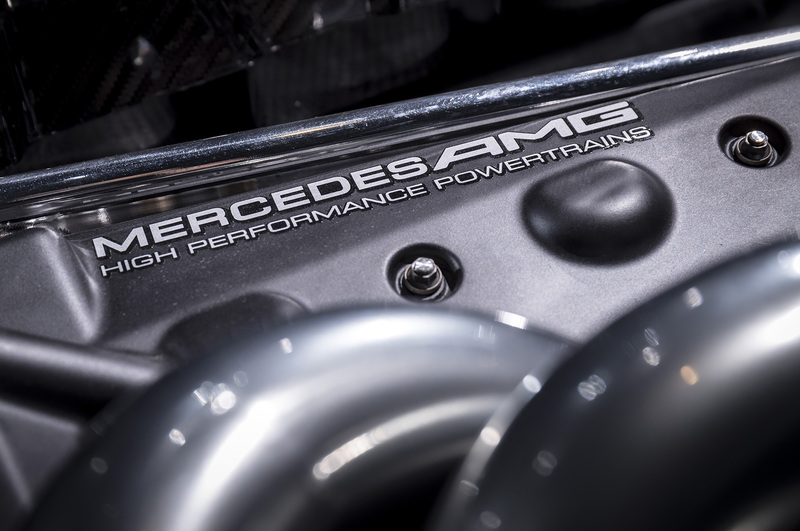 We are about to witness yet another level of production car performance brought to life. I say another because we’ve already witnessed at least one with the introduction of the hypercar level of performance such as the Holy Trinity. It’s far too early to tell which of the SuperHypercars will be the favorite, or the fastest and most powerful. I don’t think there’s any question whether or not they all will be significantly faster than anything on the road today. But I think it’s interesting how each of the manufacturers is going about it in different ways. And maybe it’s because it’s the one we know the most about at this stage in the game, the Project One is sticking out to me. 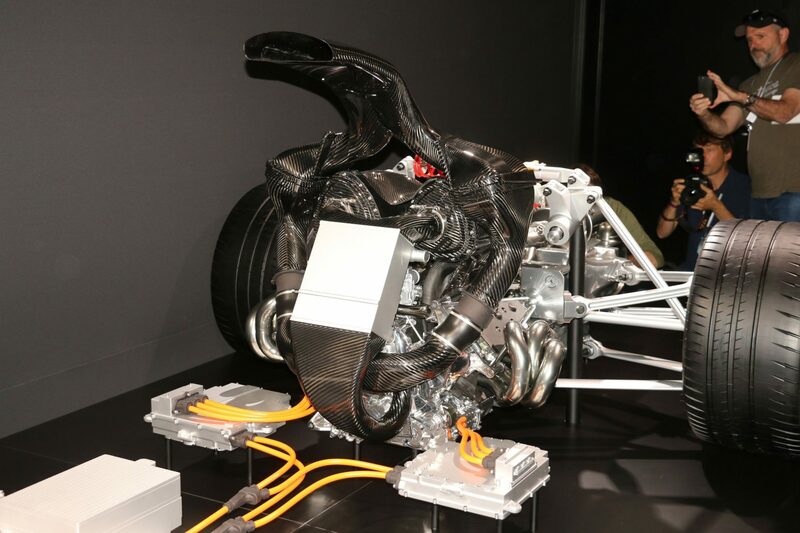 But then again, even as I say that, I remember the Valkyrie and it’s Cosworth/Rimac powerplant and the fact that we barely know anything about the McLaren’s BP23 and it makes me second guess that. No matter what happens, it’s going to be awesome to watch how it all plays out.